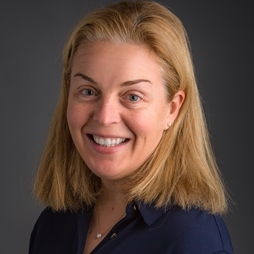 Cristina L. Sloan, Associate Director of Development for the College of Liberal Arts & Sciences earned her BA at Tulane University in 2000 and her MA from Yale University in 2002. She then spent several years teaching and supporting development efforts at boarding and private schools on the east coast and in Denver. Before joining the CU Denver advancement team, Sloan spent three years as Chief Development Officer for the Emily Griffith Foundation, supporting Emily Griffith Technical College. She is unable to stop calling herself a New Yorker despite having lived in Denver for 13 years, and is counting on her children (Denver natives) to become high-altitude conditioned professional athletes who can support her in her dotage. Sloan is going to be holding “office hours” in the Dean’s office most Wednesdays between 1-5pm during the spring semester, contact her for more details (303.315.2095 / cristina.sloan@ucdenver.edu).